Controlling A MaxSonar Sensor | MaxBotix Inc.
All the MaxSonar sensors, by default, will operate in a free run mode. What this means is the sensor will continue to range until power is removed from the sensor. This is generally the easiest way to operate in a single sensor setup. If you are operating multiple sensors, please visit our MaxSonar Chaining Guides at this link. With that being said, all of the MaxSonar sensors have the capability to operate with a trigger. What this means is the sensor can be connected to a microcontroller, a computer, or anything else that you want that is capable of telling the sensor to start a ranging cycle. To do this, you will want to connect the device triggering the sensor to pin 4 of the sensor. 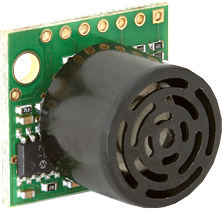 When Pin 4 is left open the sensor will range at the refresh rate of the sensor mentioned in the sensor’s datasheet. To trigger the sensor to range when programmed or needed, connect Pin 4 to a logic low. As stated above this can be done with a microcontroller, a 555 timer, a computer, or anything else capable of pulling Pin 4 to a logic low (ground). When you want the sensor to range, pull Pin 4 high. This will allow the sensor to complete a ranging cycle. The device that is programmed to trigger the sensor needs to be programmed to pull Pin 4 to logic high for a minimum of 20uS. If the trigger does not pull pin 4 high for that amount of time, the sensor may not range when commanded to. 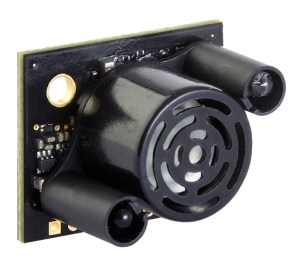 For the LV‑MaxSonar‑EZ series of sensors the sensor can be triggered as frequently as 50mS (20 Hz rate), and for the XL-MaxSonar or HRLV-MaxSonar sensors, the sensor can be triggered as often as every 100mS (10 Hz rate). Triggering a single sensor setup can be useful in many situations. For people that are using the sensor in a battery operated environment, the sensor can be triggered only when instructed to. This means the sensors highest current draw is controlled. 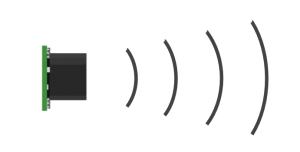 All sensors have the highest current draw when the sensor sends out the ultrasonic pulse for each reading. 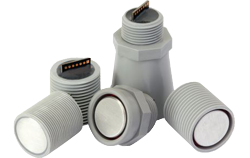 For the current draw of your sensor, please consult your datasheet. Triggered operation prevents cross-talk between sensors. 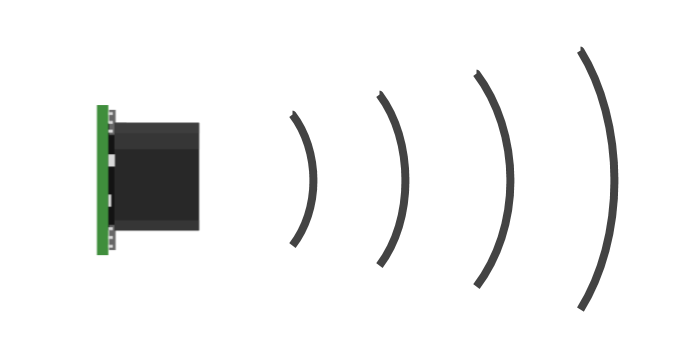 When using multiple sensors it is recommended to use chaining method. 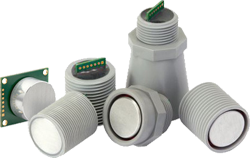 To read about Multiple Sensor Operation click here. The HRLV‑MaxSonar‑EZ1 is a great choice for use where sensitivity is needed along with side object rejection….